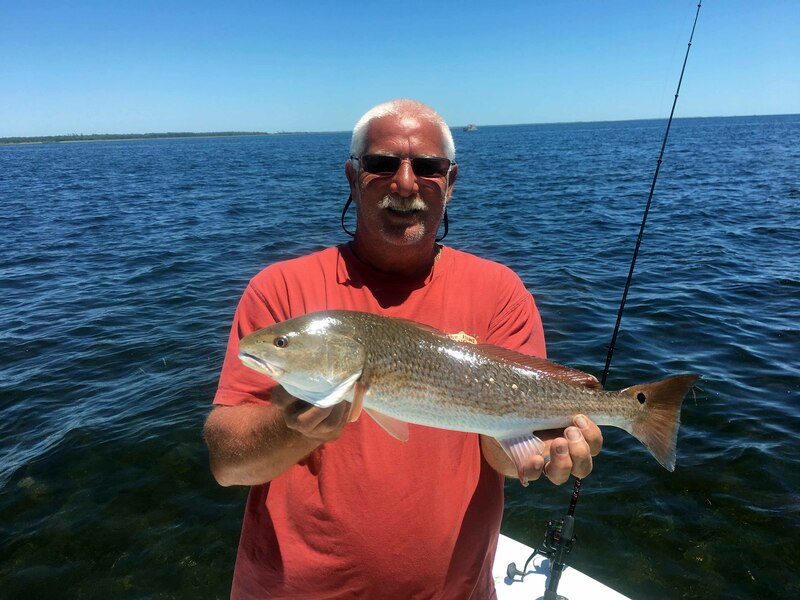 As expected, June was a fantastic month. Although we had a close call and some rain from a tropical wave, the water stayed clear, especially to the south of the river. 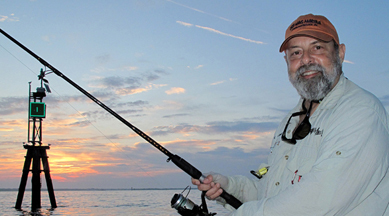 But before scallop season opened on the 16th, the fishing was amazing. 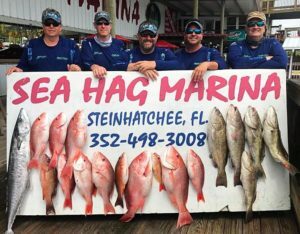 Two big tournaments produce some amazing catches, and the fact that red snapper season was dramatically changed for recreational anglers provided an extra boost. 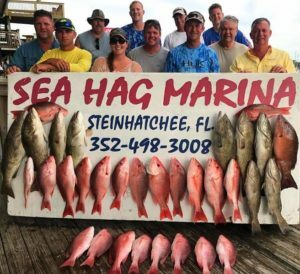 Both gag grouper and red snapper season opened on the first, and the catches have been spectacular as you can see from the pictures below. 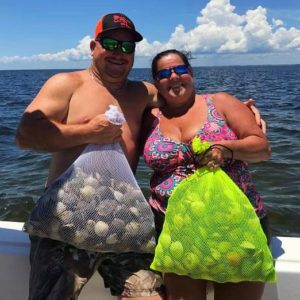 By the time scallop season opened, the town was ready to rumble, and rumble it did. Scallop limits were gotten quickly in most cases, and except for a few days, we rapidly settled into the summer pattern with afternoon showers, just enough to keep people cool. 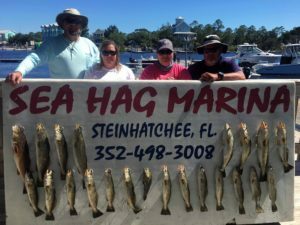 It really was a great month at Sea Hag! 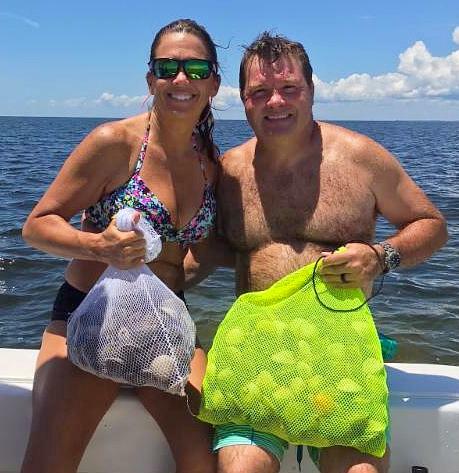 Chris and Cyndi Beasley from Callahan had no problem finding their scallop limits. 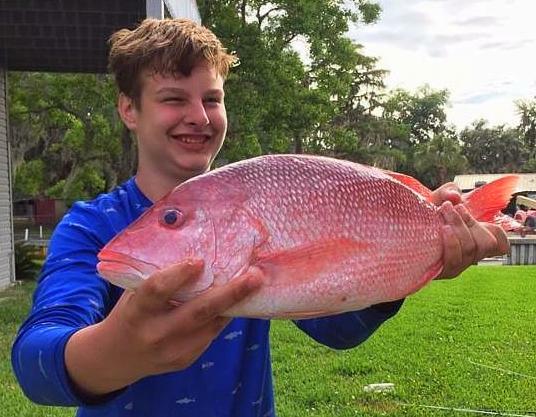 Clayton Keen from High Springs with his fine red snapper. 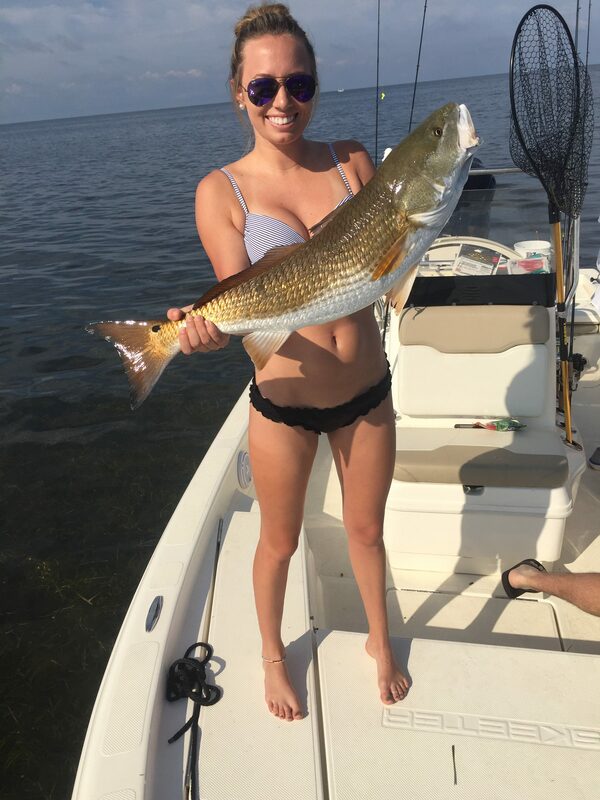 Hannah Humstead from Lake City with a fine gag grouper. Jason Gamage from Tifton, Ga with his bull redfish. The Pike family took home lots of great grouper and snapper fillets. 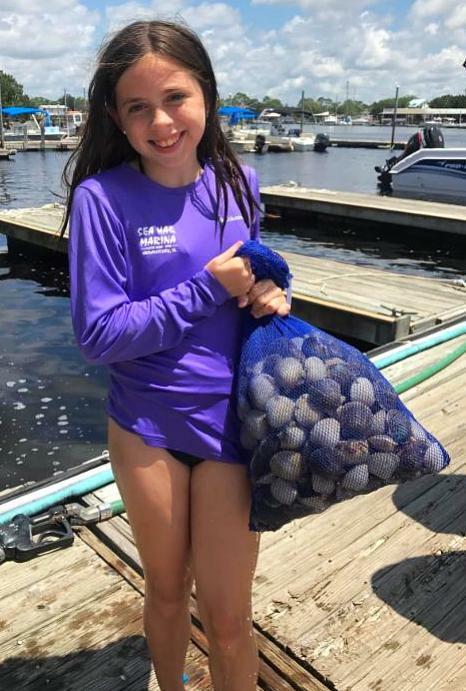 Natalie Adams from Panama City with her haul of scallops. My buddy Melissa Macarages caught this redfish during the Reeling for Kids tournament. This was the catch of the year so far. 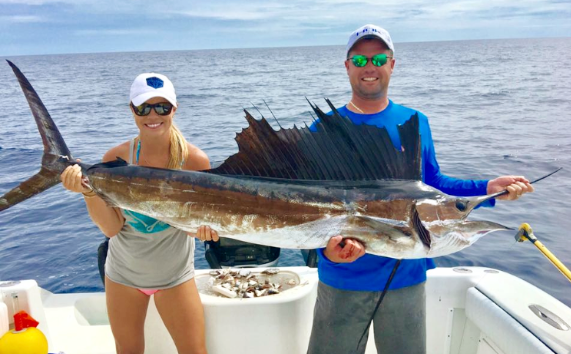 Trolling for kingfish, Mikel and Krysti English caught this sailfish….not just a sailfish, a really big sailfish. Very unusual in our area. The Isley and Wright families from Jacksonville had a great time scalloping. 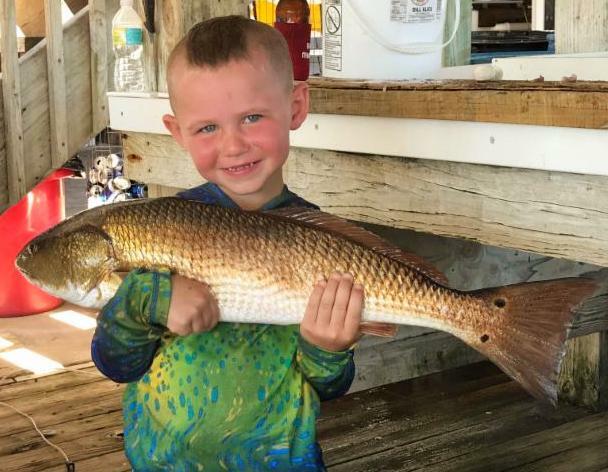 Lane Brown from Callahan with his special redfish. Lisa Branca with a huge gag grouper that placed third in the Nautigirls tournament. 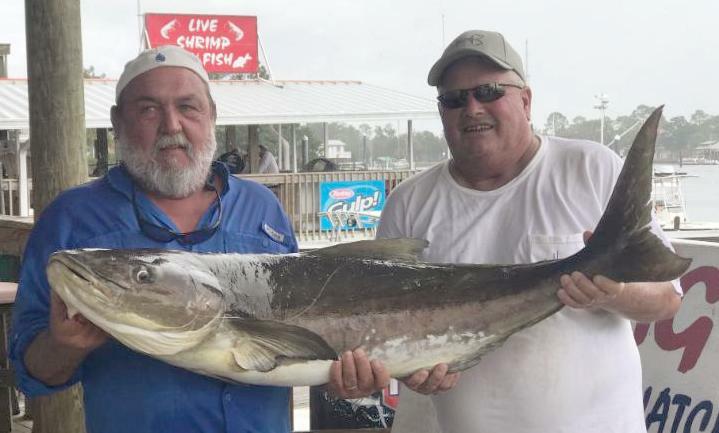 Charles Pruitt and Randy Robinson from Sugar Hill, Ga with their 48.5 pound cobia. 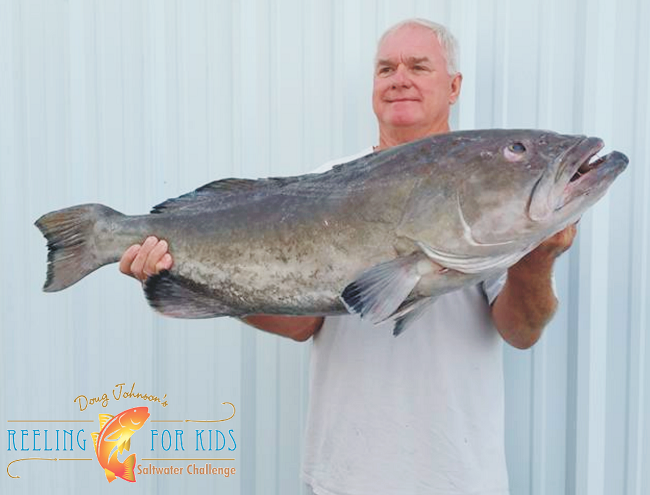 Dean Baker from Graham took the largest grouper in the RFK tournament-a 33 pounder! Courtney Carroll from Keystone Heights with the second place trout in the RFK tournament….a 4.25 pounder. Glen Corbett with his 23.8 pound first place winner in the RFK tournament. 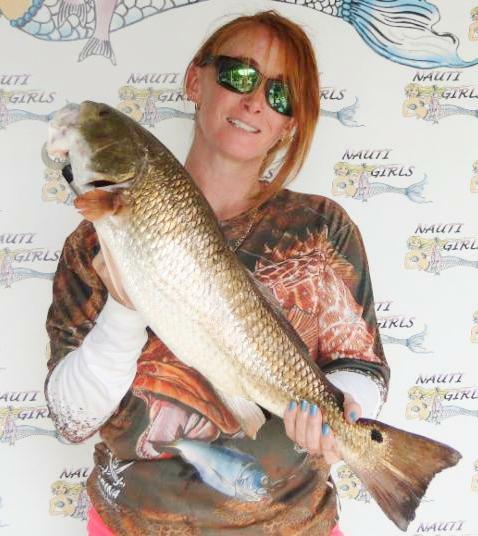 SueEllen Weaver took first place redfish in the NautiGirls Tournament with this fine 6.6 pound redfish. 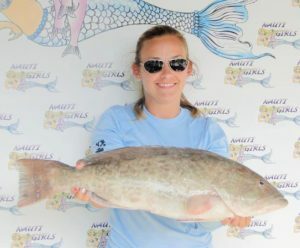 Sara Taylor caught the largest grouper in the Nautigirls Tournament, a 9.3 pounder. 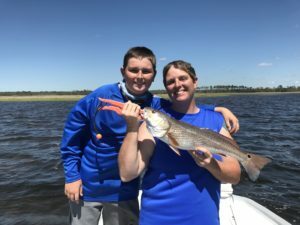 Holly and Troy Carver got their limits and then hung out on the Big Grassy bar. 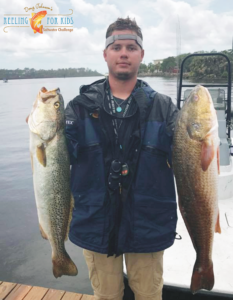 Another unusual catch for our area- Capt. Mark Brady and Jim Manley with some very nice tripletail. 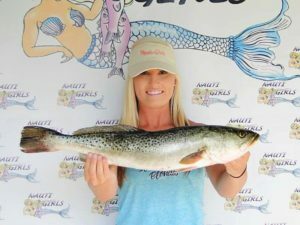 Bradley English’s 4.7 pound trout took first place in the RFK tournament. 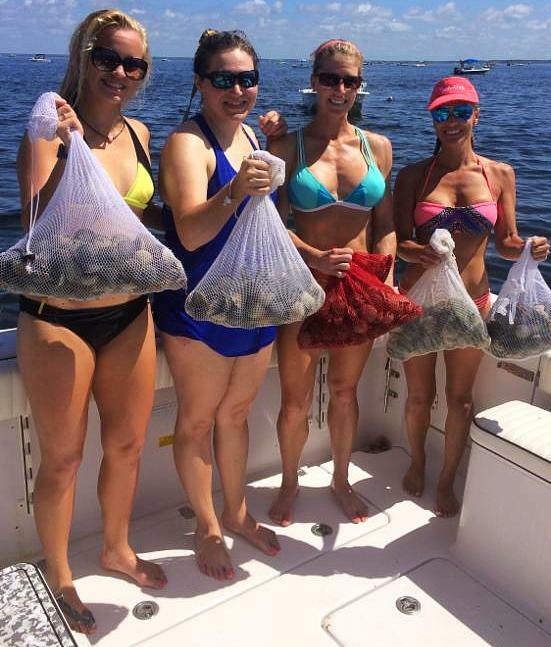 Brittany Baird, Rachel Mixon, Missie Schnieder and Lisa Branca with their scallop limits. Team Triplemike with their offshore haul. 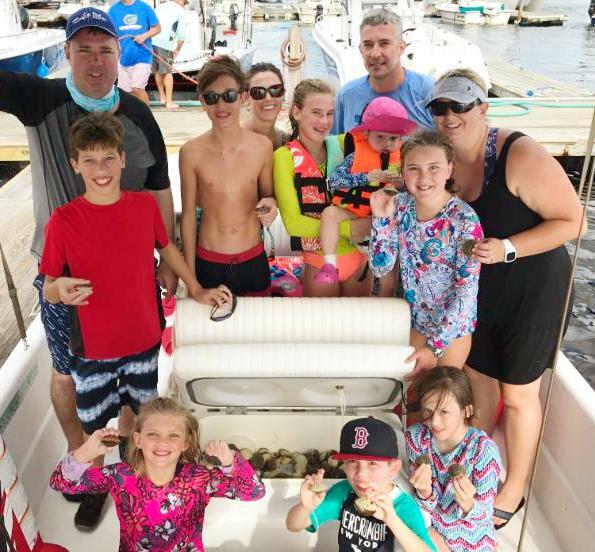 Scalloping is for families…in this case, the Ducharme, Mahn, Blandford and Kavin families. 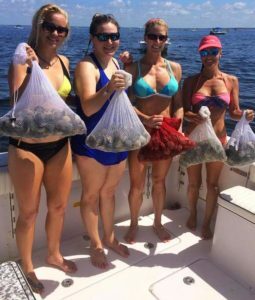 July will be a great month for scalloping, as long as the weather stays in its normal pattern (no more tropical waves, please). 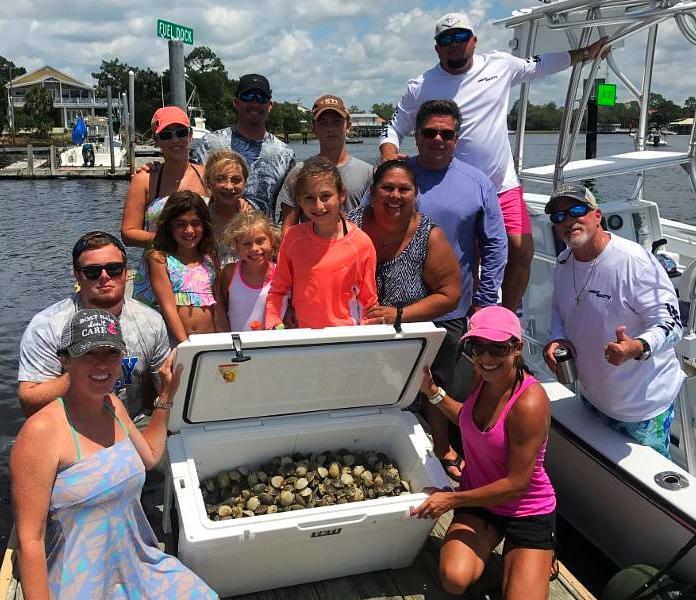 Most recently the crowds have been directly outside of Rocky Creek and at Pepperfish to the south and outside of Big Grass Island and Piney Point to the north, but there are scallops everywhere that have not been explored yet. 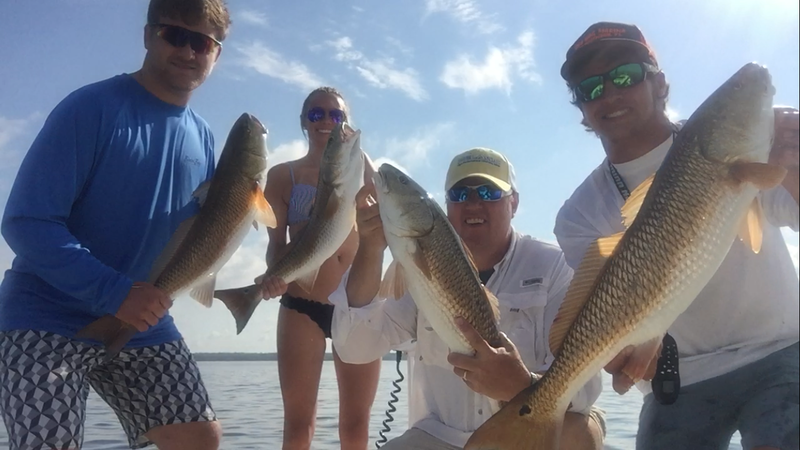 The water has been a little darker to the north, but still plenty of clarity for scalloping. Don’t forget: you have to have a Florida fishing license to scallop, and remember your limits: 2 gallons of whole scallops per person or a boat limit of 10 gallons. If you don’t have a boat, or want to avoid all the insanity at the ramps, we have beautifully maintained and outfitted Carolina Skiffs for a reasonable rental, or consider hiring one of our guides who will take care of the details. 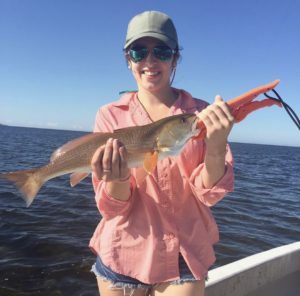 The Sea Hag will give you any assistance you need. Scalloping is a great experience with kids, so take advantage of it this year. 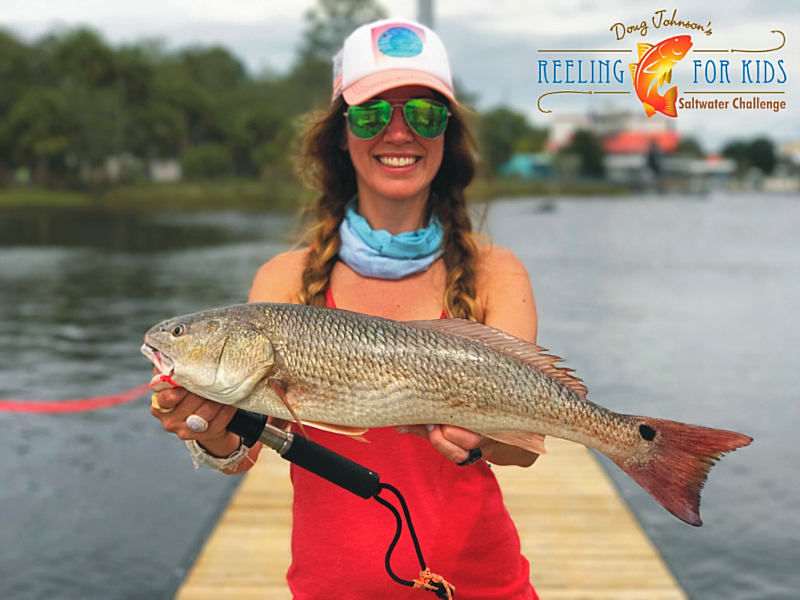 Inshore fishing will slow down with higher temperatures, but if you get up at daybreak and have some water to get close to shorelines, you will have a chance for some nice trout and redfish. Capt. 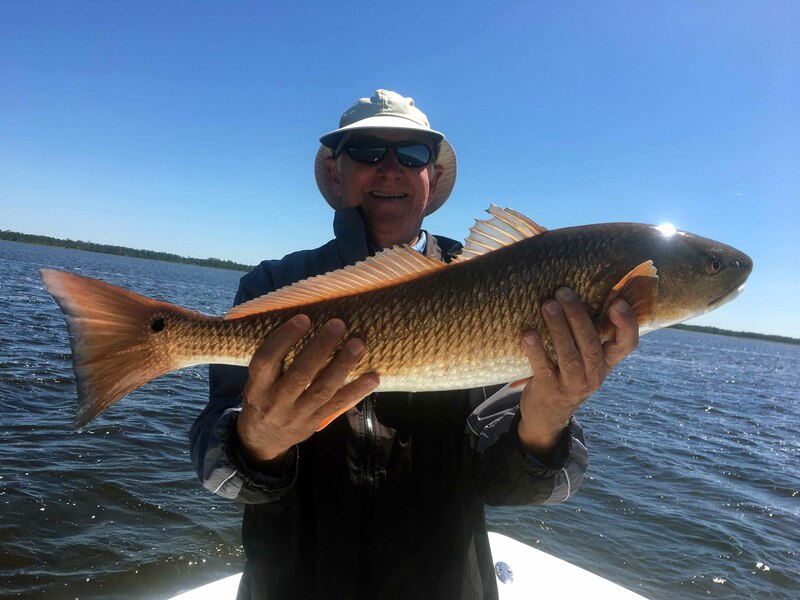 Tommy Thompson and I fished near the end of the month, found some areas without floating grass, and caught a number of trout with two over 20 inches on topwater plugs….but it has to be early. 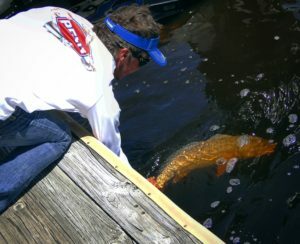 Especially look for schools of bait, which are pretty prevalent right now. 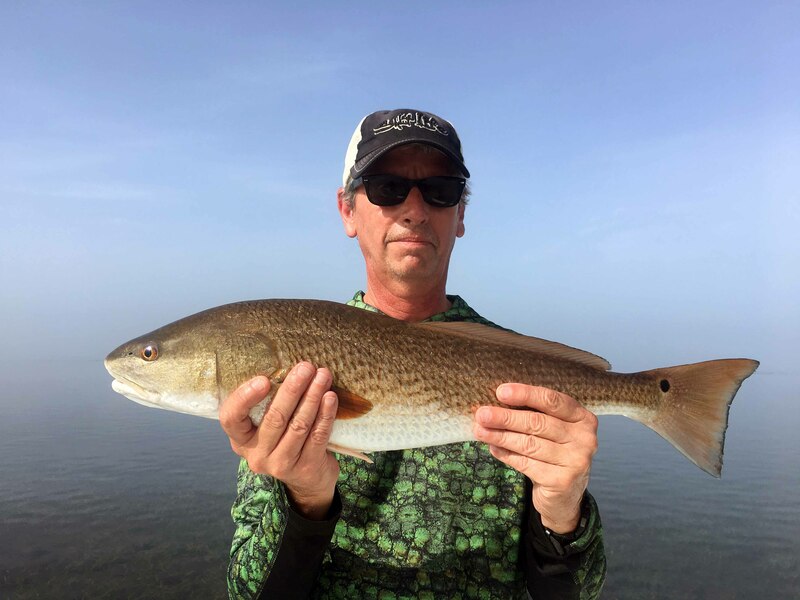 Redfish will be schooling less but still find them around rocks or oyster bars where bait is present. 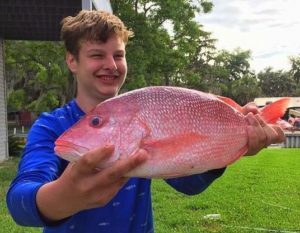 Offshore, the snapper bite is on fire. 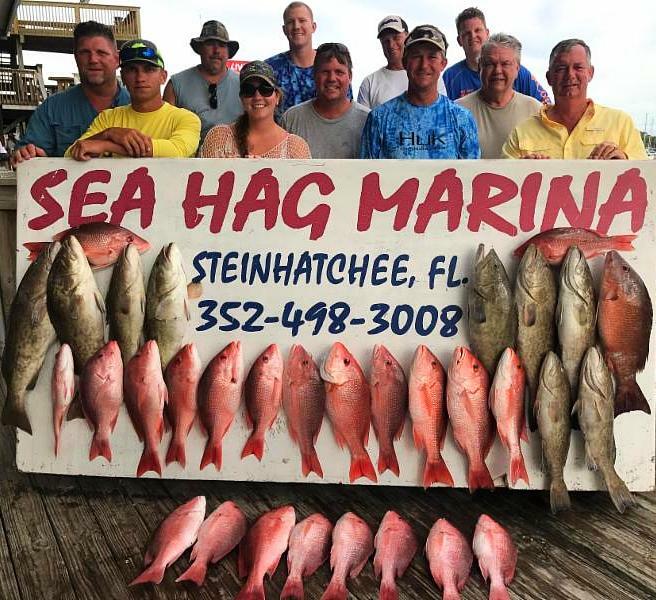 In fact, it’s hard to get baits down past the snappers to catch grouper. 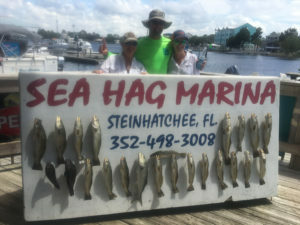 Live pinfish, cut bait on jigs, or squid have been great baits for both snapper and grouper. 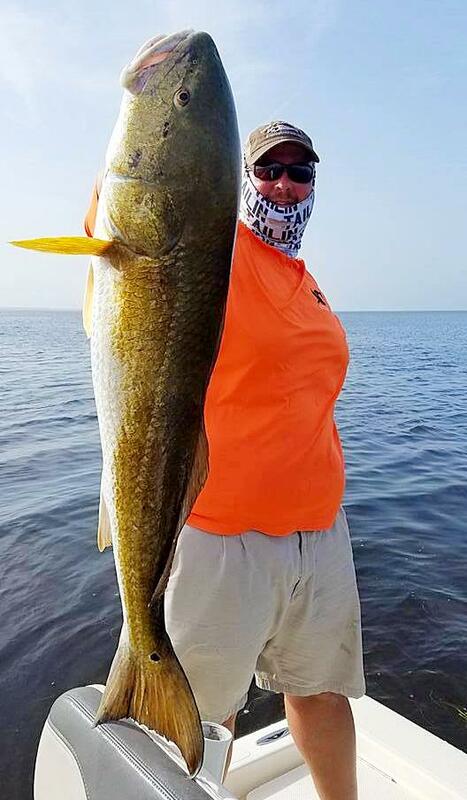 While a massive kingfish run seemed to miss us this year, there are some very large fish being taken near offshore structure in 40 feet of water. Troll with spoons or jigs, but always put out a live bait under a cork when bottom fishing for a random kingfish or cobia. 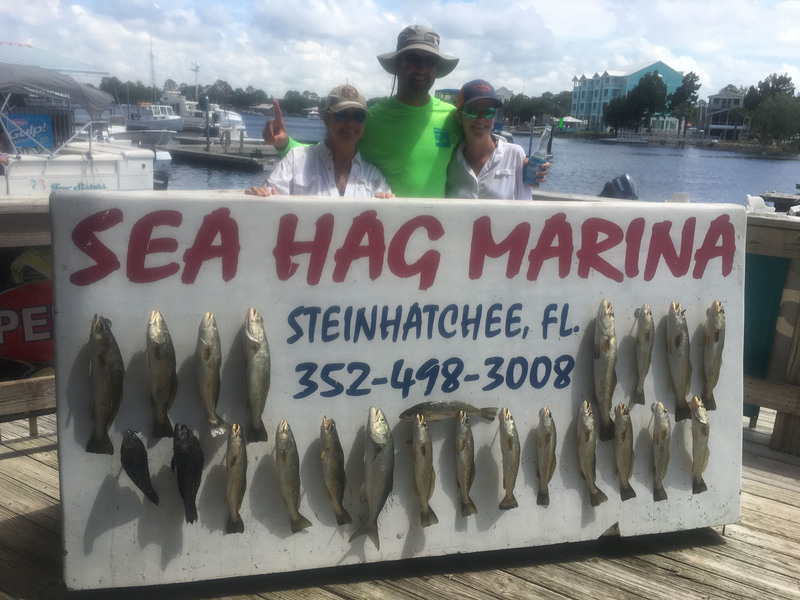 It will be great month at the Hatch….call us for lodging, boat rentals, or come by for gas, tackle, dive gear….we have it all. 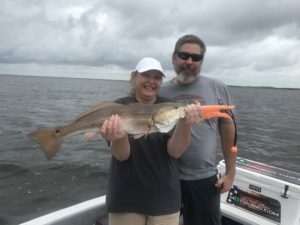 Welcome to July in the Big Bend! 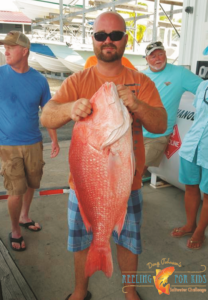 In an astonishing demonstration of common sense, the Gulf Council and the Gulf state wildlife agencies worked together to extend the ridiculously short red snapper season for recreational anglers. Long weekends are now available to fish for this abundant species. 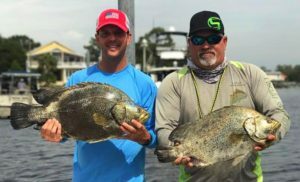 Not only is their color stunning in blue water, it is hard to beat them as table fare. 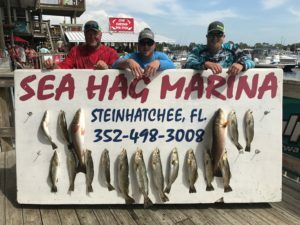 Gags are also in season and while they have not reached the abundance of snapper, they are available to anyone with the ability to catch them….only problem is the snapper are so aggressive they usually beat the groupers to the bait. 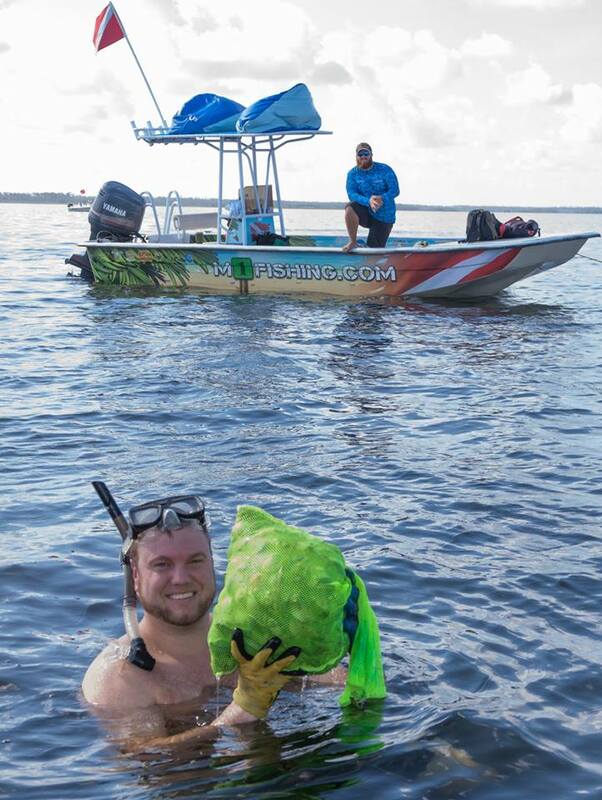 For those so inclined, we also offer the chance to tangle with Goliath grouper…better get those gym sessions completed before attempting this activity! 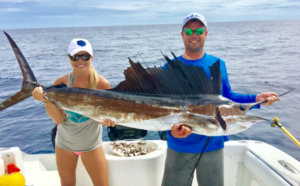 We have had good catches of cobia over the past month and seen some giant kingfish on the way offshore reefs. 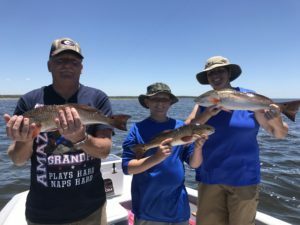 Couple that with the opening of scallop season and you can spend a day offshore for fish and a day inshore for the shellfish and have a pretty doggone good weekend. 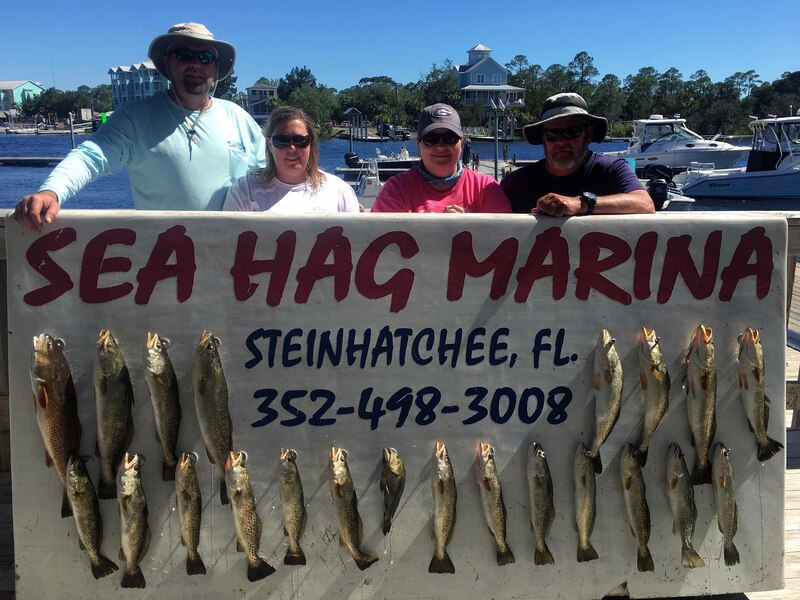 The Sea Hag store has pretty much everything you need to make it a great day on the water. Stay safe out there….